The little girl that i once was , spent many a hot sunny day after school , all dressed in her school uniform , hair tied into little pigtails , treating herself to popsicles and beating the summer heat. Ice pops have been a huge highlight of my childhood , as I presume might be the case with many other little boys and girls. I would go to the shop almost everyday after school to have an orange flavoured ice pop. Orange was always my favourite ! I somehow always preferred ice pops over chocolate and vanilla ice cream. I dont know what it was , whether it was that irresistible tangy taste , that kick of the cold icy feeling that froze my tongue as I had a bite, that burst of citrusy freshness in my mouth , that refreshing feeling that I felt on a hot summer day , or that sense of satisfaction and happiness that I felt after I had polished off the popsicle as I hop skipped and jumped on my way home. Popsicles have always been a big big favourite . Today as I was pottering around in the kitchen , I found some beautiful green limes , a lovely gorgeous huge lemon , and my bag of frozen rasberries and i just couldn’t resist. I had the perfect idea. As my mum was making breakfast , I took some castar sugar and water and turned it into a syrup , I took the limes and my gorgeous lemon and made some lemonade , I added some lemon zest with my trusty microplane zester. 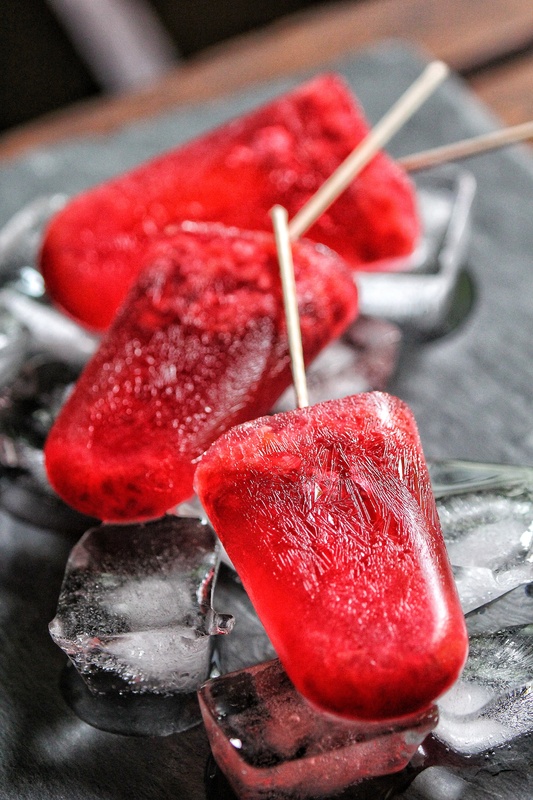 I then went on to fill my popsicle moulds with the lemonade and added a few of the frozen rasberries to add extra colour and a kick of extra flavour. As my popsicles sat in the freezer I just couldn’t wait to relive those childhood moments ! To taste that citrusy freshness , to have that icy cold kick . 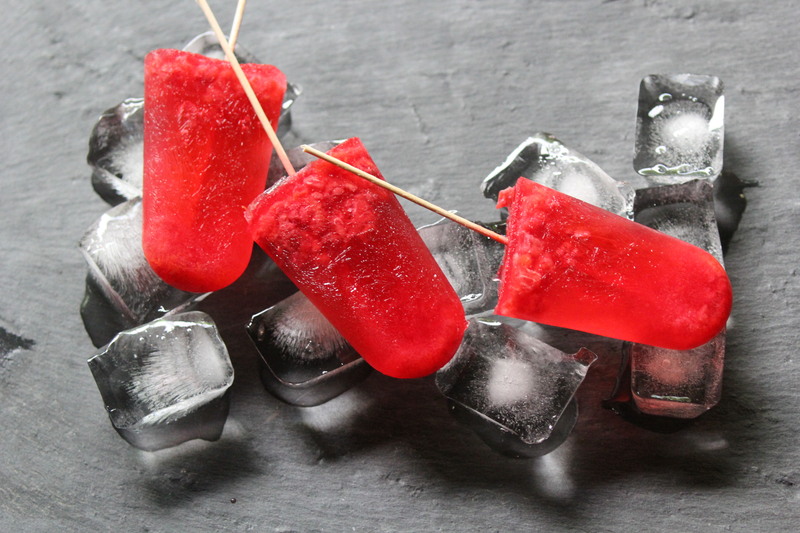 When they finally froze , I demoulded them and saw the most gorgeous ruby red icicles!! The colour of the rasberries had bled into the lemonade to convert that pale yellow into the most exquisite and vibrant rasberry red. 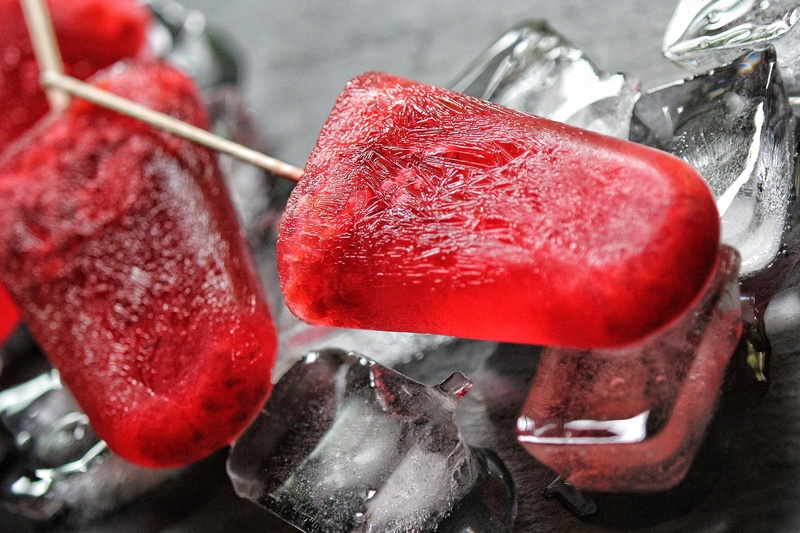 They tasted as gorgeous as they looked , one bite and it was like I was back to those innocent days, in my school uniform , that little girl again , with pigtails , savouring that happy little popsicle , enjoying that fruity freshness , that tartness , that zing . The sweetness of the syrup perfectly balancing the sourness of the lemonade and the kick of rasberries , icy , cold and refreshing. It was just perfect. I couldn’t help but smile that same innocent sheepish smile of a young , little child after finishing her favourite candy. Omg nomz!! That red does look delicious! Red one looks yummy . Lovely red popsicles! !! I had the pleasure of tasting them and they truly were a burst of refreshing tartness. Very well written, this took me back to my “orange stick” obsession as a child too. Lovely writing!!! Oh, I so loved this! What a beautiful glimpse into the simple pleasure of childhood. You recreated it…and those popsicles! They are gorgeous!! Thankyouu soo much ! Popsicles arw onw of my big favourite ! Great to be here. Looks nice.